Touchtex technology with superior color retention, soil release and wickability. Fabric: 4.25 oz. Ripstop Poplin. 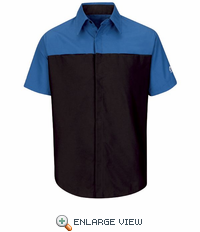 Closure: Concealed (no-scratch) button front placket. 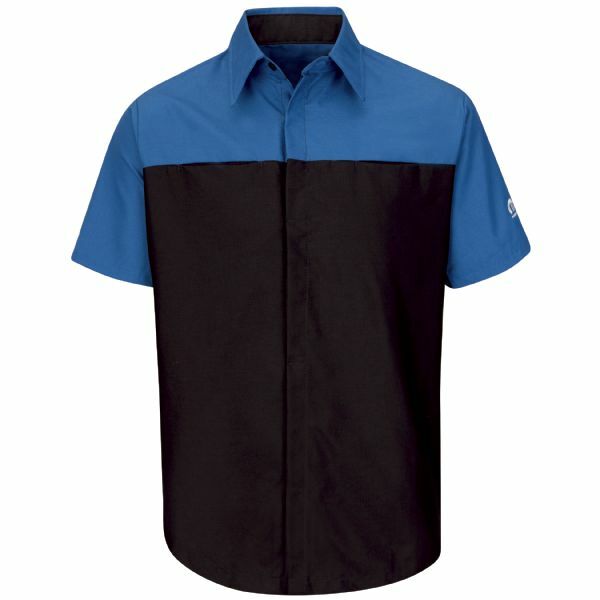 Pocket: Two hidden front chest pockets. Other: *Mopar Service logo on left shoulder. 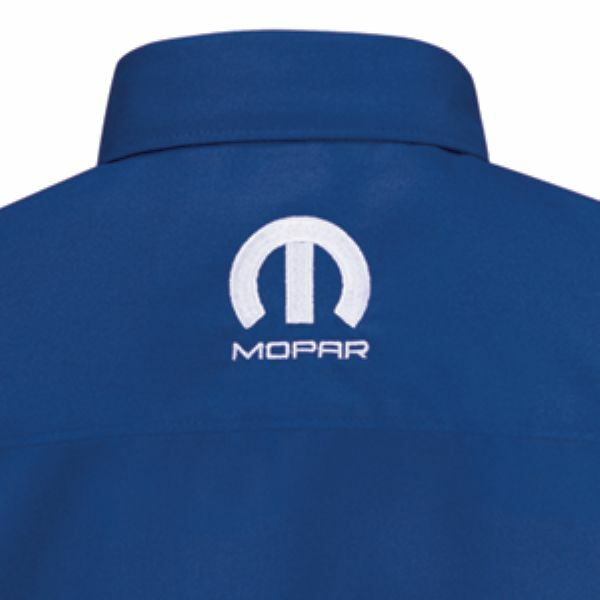 *Mopar "Omega M" center back neck.